The Spirits of Christmas transform selfishness into generosity, and Ebenezer Scrooge discovers joy. 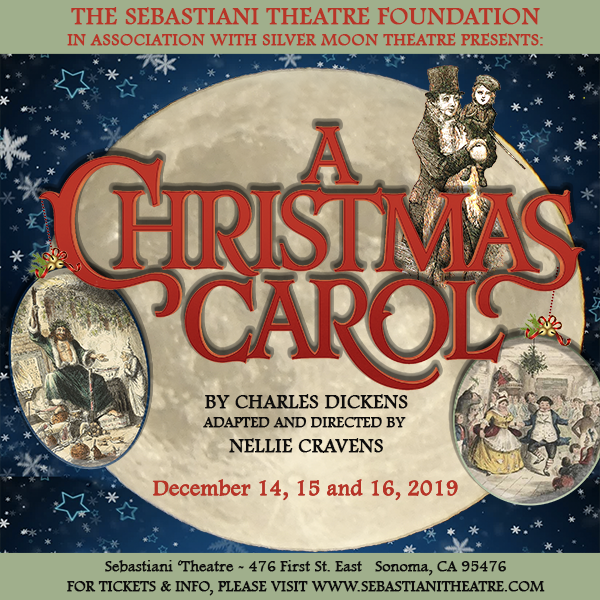 Experience this famous story in a live theatre performance with music, carolers, and holiday festivities. Celebrate with us! Silver Moon Theatre brings the joy of live theatre to Sonoma and the surrounding valley. We also teach acting techniques. Silver Moon Theatre is proud to be a non-profit, tax-exempt 501(c)(3) organization.